Grow your operations along with your business, without spending huge amounts on deployment and maintenance costs as required by traditional enterprise automation systems. Royal Cyber provides cost-effective solutions to reengineer and optimize your business processes, improve efficiency, reduce total cost of ownership and enhance performance. It provides a suite of functionality and enterprise applications that integrate and automate almost every business process and aspect of an enterprise. 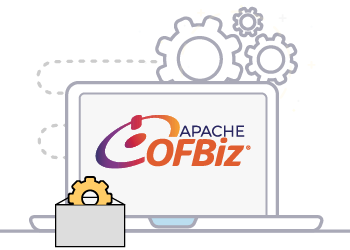 Royal Cyber has the expertise to leverage the rich set of Apache OFBiz features for organizations of all sizes and in all sectors.